File photo of a construction zone. Hospital or interstate -- this baby wasn't going to wait. A woman gave birth on Interstate 66 near the Route 50 interchange in Fairfax County, Virginia, early Sunday morning. 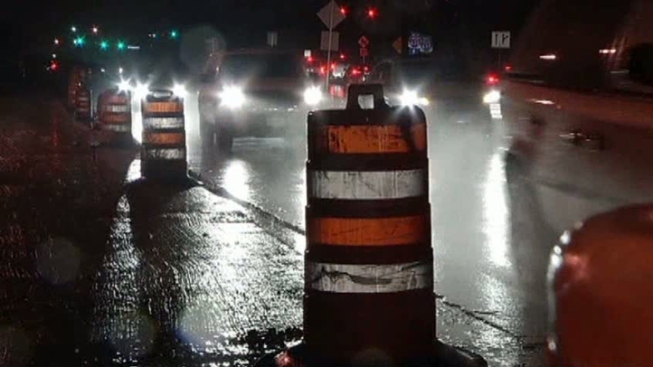 The Virginia Department of Transportation said a car with two people inside pulled into a work zone in the westbound lanes of I-66 about 5 a.m.
"Not sleepy, distracted, or drunk, but safely & causing no harm. The car went from HOV-2 to HOV-3 when Mom gave birth," VDOT tweeted. Fairfax County Fire and Rescue workers arrived to find the child had already been born. They took the mother and baby to a hospital. A spokesperson for VDOT said they don't know who the mother is, but they would like to find out to give her "custom VDOT baby clothes."